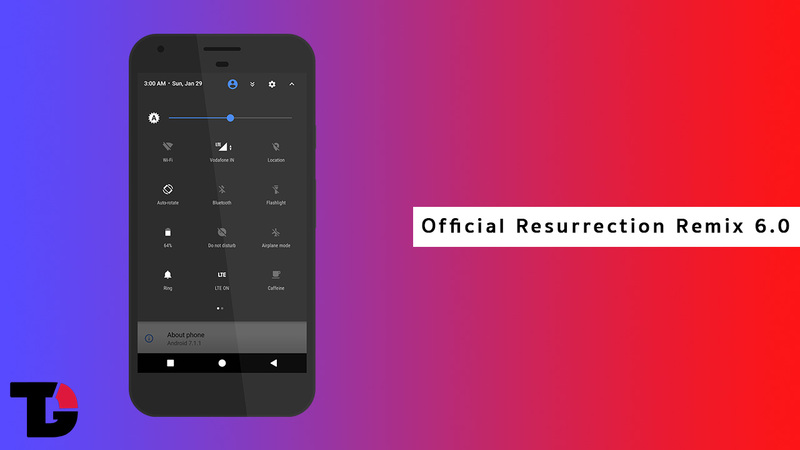 Finally, the wait is over and the Official Resurrection Remix 6.0 based on Android 8.1 Oreo released for some Android devices.Over the past few years, Resurrection Remix has become a highly sought-after commodity as it has become more and more popular day by day. It is one of the most popular custom ROMs for Android devices in recent times. Recently, the official Resurrection Remix v6.0.0 nightly build was released for several Android devices. This new update is going to be based on Android 8.1 Oreo OS which is a direct jump from Nougat 7.1.1. Most custom ROM developers have released the final builds of Nougat whereas Google has already released the stable version of Android 8.1 which is why, the famous custom ROMs like Resurrection remix, Lineage OS, Dirty Unicorn, etc. will directly be receiving the Oreo builds. The last and final build for Android 7.1.1 Nougat based Resurrection Remix was the 5.8.5 version. Now, with the release of official Oreo build, we will be able to enjoy the v6.0 of Resurrection Remix. This new update will feature some really amazing features including February 2018 Android Security Patch. This custom ROM line is famous for its tweaking and unconventional configuration options. You can easily tweak most of the options by going to the settings app. You will easily be able to find the Kernel and Power options which allow the user to under-clock and over-clock the CPU. This feature is useful for improving performance and saving the battery usage. Its other features also include status bar tweaks, quick settings, interface, recent, lock screen, panels, and other numerous configuration options. The first RR 6.0.0 ROM is up with some exciting new features. This custom ROM is an officially nightly build which means that it is stable enough to be used as a daily driver. At the moment, only a few selected devices have received the official Resurrection Remix v6.0.0 Oreo build. Here is a list of the devices which have received this update.